Modern and inviting, the ibis room boasts all the features you want most: a comfortable bathroom, modern decor, wood floor, cozy bedding with duvet, Internet and a flat-screen TV with all the major channels. The ibis room can accommodate a couple with one child up to the age of 11. Comfortable bathroom, modern decor, wood flooring, cozy beds with duvets, Internet and a flat-screen TV with the major channels. The modern and inviting ibis room boasts all the features you want most: a comfortable bathroom, a double bed and two bunk beds, modern decor, wood flooring, Internet and a flat-screen TV with the major channels. Efficient, friendly staff. Comfortable, clean room. Good restaurant. It was a usual IBIS experience. However, the breakfast offerings were not kept topped up resulting in waiting around for items to come from the kitchen. Overall, the hotel is good, but some details could be better. Friendly staff. No water bottle on the room, neighter a coffee machine. No small towle in the bathromm, only to big ones. Clean, comfortable. Welcoming staff. Courte Paille excellent value and quality. I was really positively surprised with this hotel. It is pretty basic, yes. But the room I was given was rather spacious and very clean. It was also quiet, and I enjoyed a good night's sleep. The breakfast had a broad selection, for a French hotel - I've been in some 4* that offered less choice. No scrambled eggs though. But most of all, and what made my stay deserving a 5 rating, was its staff. From the hotel receptionists to the cleaning personnel - all very kind and welcoming. Definitely will stay here again when travelling to Clermont-Ferrand. Nice IBIS Hotel with friendly staff. TThe only negative point is that not the whole staff speaks English very well. we did not sleep well as the bed was so uncomfortable and it was so hot - it seemed to be related to the topper but we couldn't use the bed without it. We had been driving for some time and were seriously in need of sleep. Previous Ibis experiences across Europe have been good but this was dreadful. The blinds were ripped and the curtain was hanging off the wall. The bathroom was a mess with stained walls behind the toilet and the general feel was of scruffiness. For an overnight stay the hotel was good but I have stayed at many Ibis hotels and this rates as one of the poorest I stayed at. Nearly every hotel have given very good to excellent service. The hotel was very difficult to find, I have no satnav. The bathroom had a shower over the bath which I find difficult to use due to age. 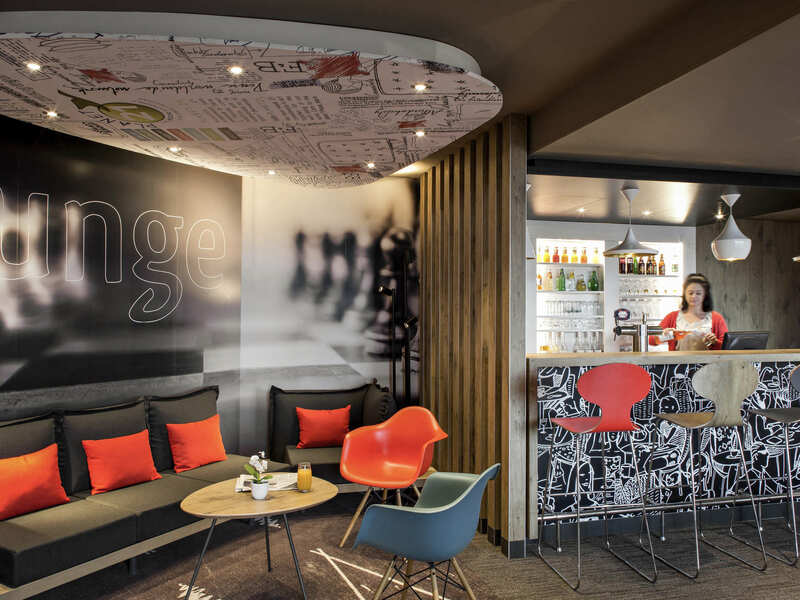 The staff at reception were very good, but the restaurant staff were not to friendly and twice I had to chase up an order I made.This will not stop me using Ibis hotels again as this was, hopefully, a one off and all other times the service and cleanliness was excellent. The hotel was difficult to locate. The dining staff were not very welcoming and the meal menu was not of a good quality. The bathroom could do with some TLC. Great staff, clean room, clean hotel, easy parking, easy access to city centre. Excellent ! Receptionstaff helpful and friendly, restaurant team also very helpful and friendly. Room was very clean and bed very comfortable. My dog was also made very welcome. Evening meal and breakfast very good. Hotel well situated for autoroute and tram, plenty of open parking. Rooms small and functional, no kettle, towels very bald. Ok value for money. Restaurant on site with commercial hours, menu limited.